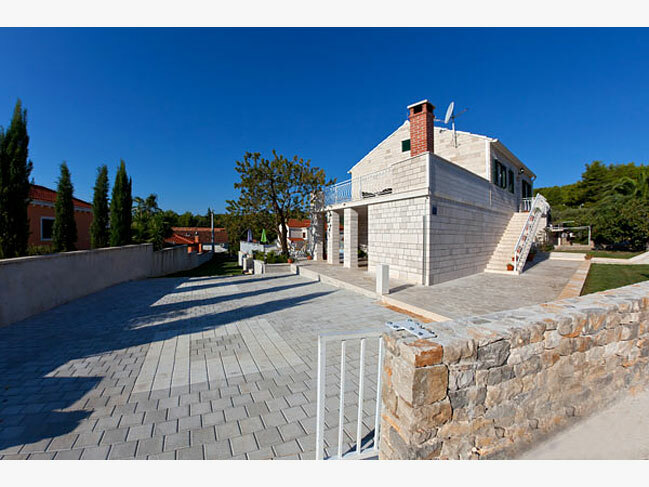 Dalmatian Stone House Villa in Sumartin on Brač Island in Dalmatia A charming Mediterranean seaside town Sumartin on Brac Island is the home of a Dalmatian stone villa that can provide accommodation for up to 10 persons in a typical Dalmatian atmosphere, where sun, clear blue seas and palm trees are present. 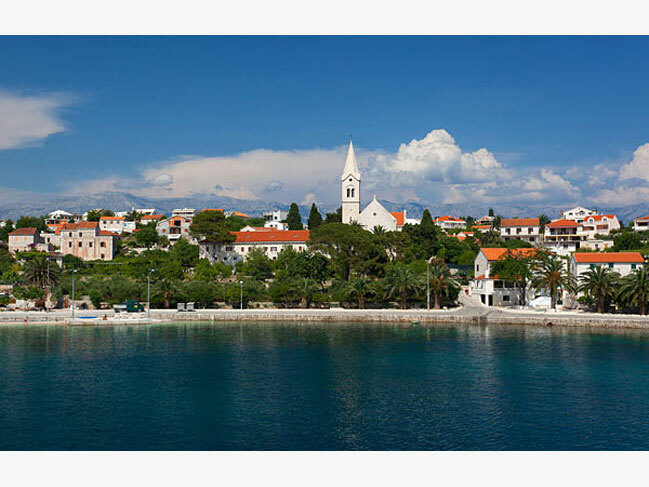 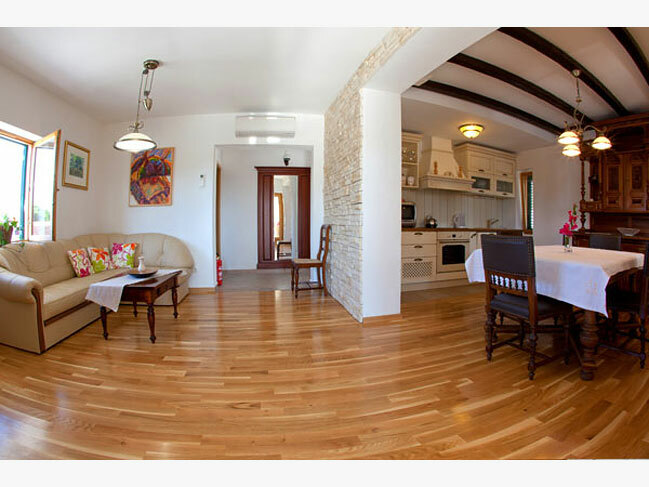 The traditional Dalmatian stone house villa is located in the western part of the picturesque village of Sumartin on the island Brac. 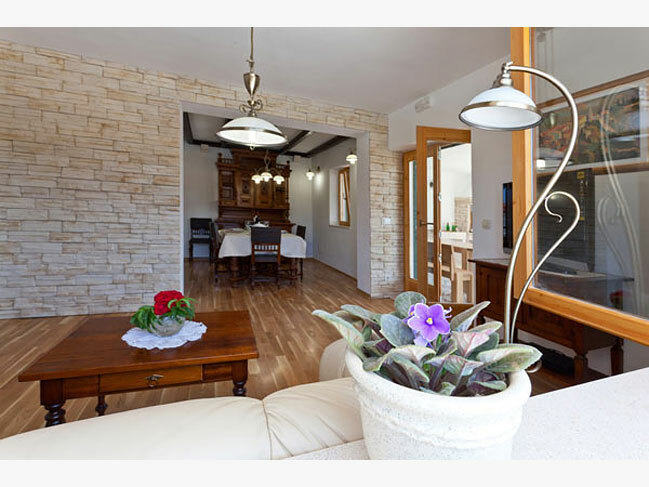 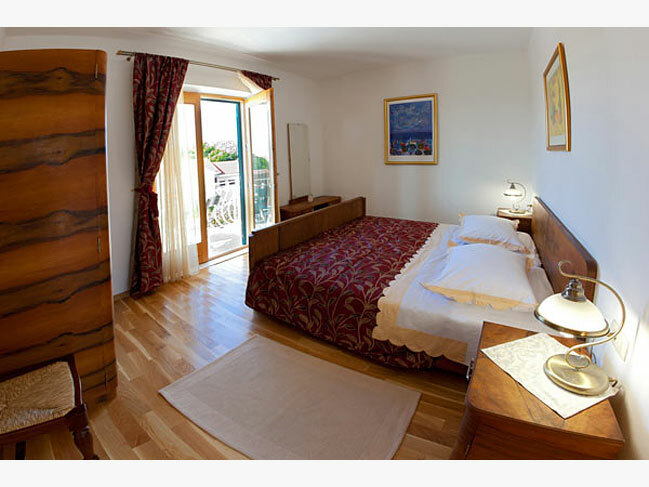 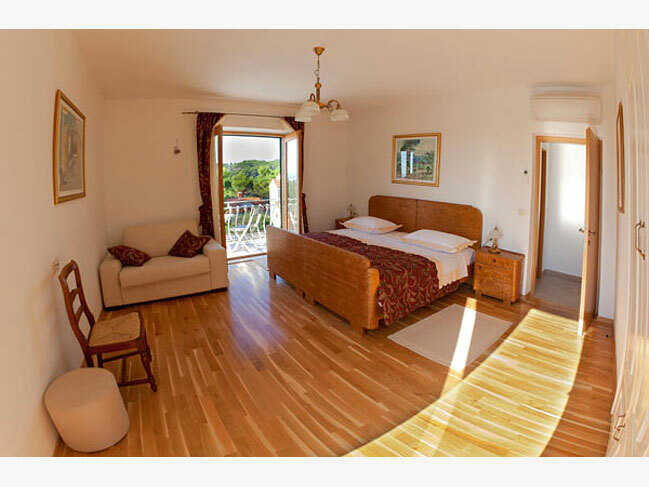 The villa has been renovated in 2011 and was equipped with original antique furniture. 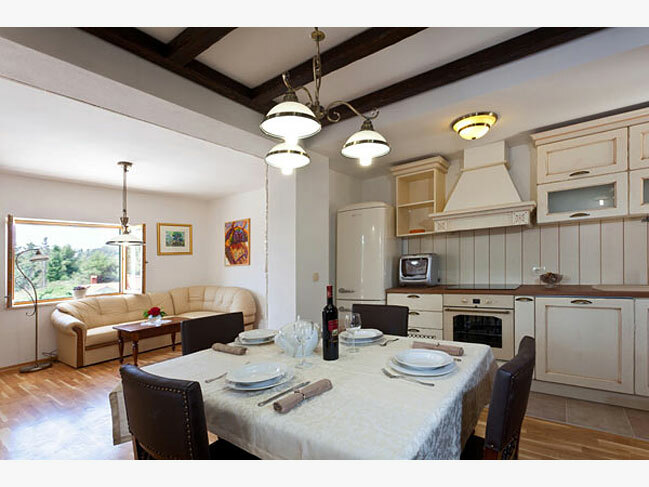 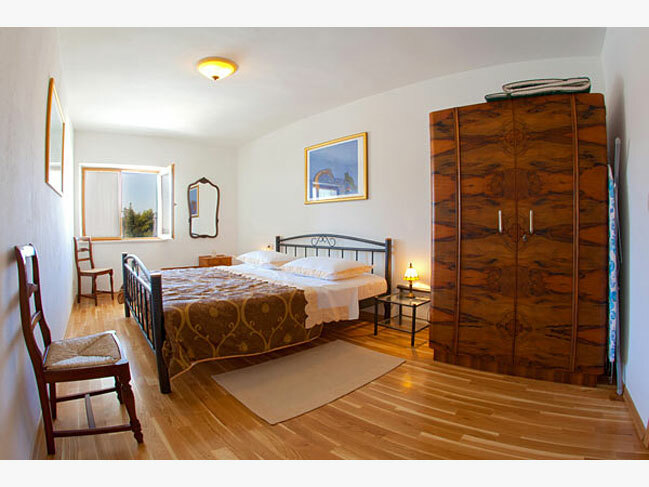 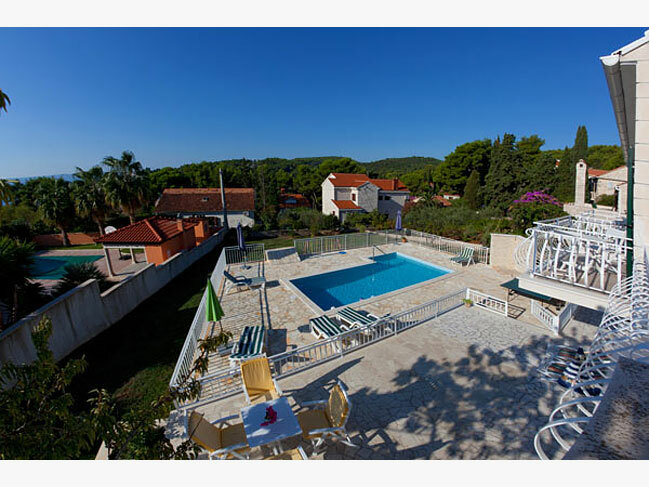 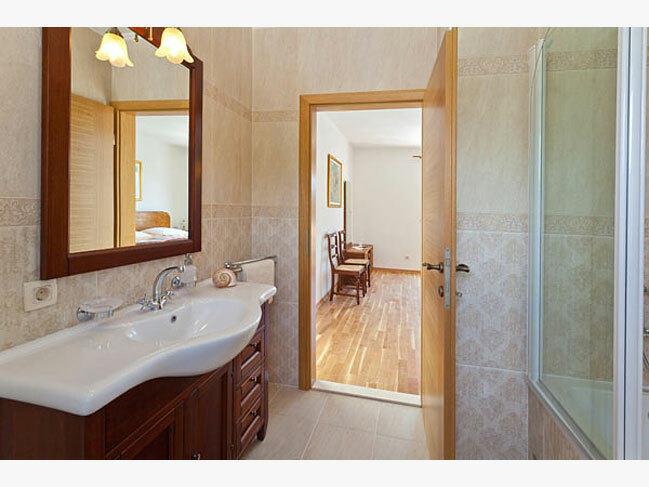 In this attractive villa 8 to 10 people can comfortably be accommodated. 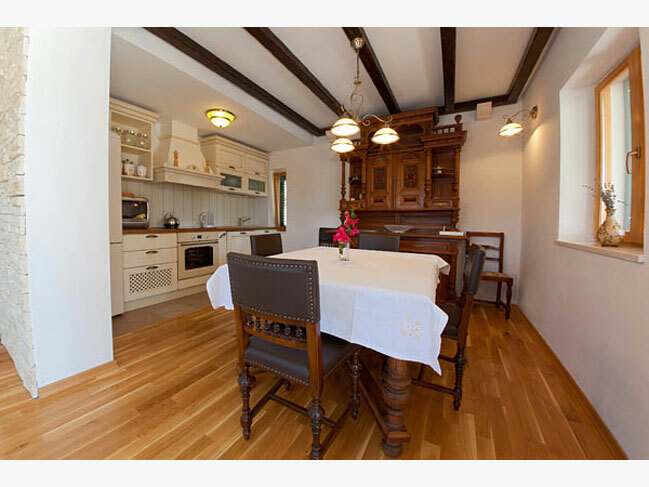 The ground floor features: a kitchen / dining / living room, separate toilet and a bedroom with en suite bathroom. 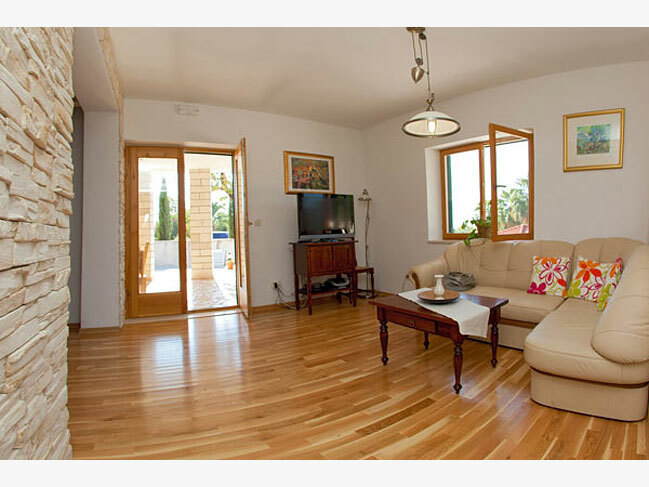 The upper floor features: 3 bedrooms, 2 bathrooms, 2 balconies and a large terrace offering beautiful sea views. 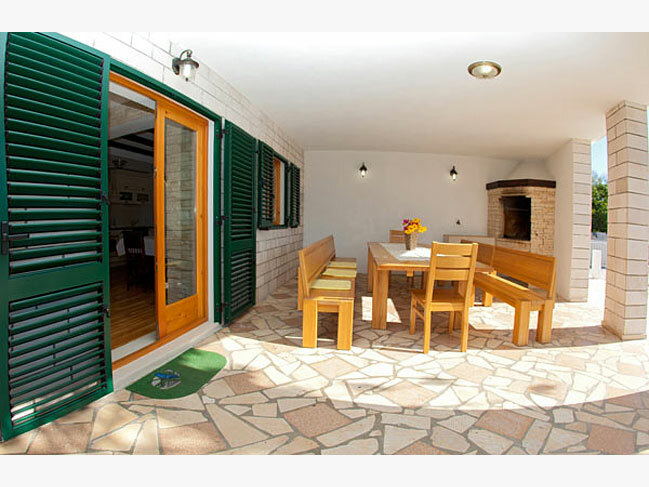 The house is surrounded by beautiful garden with Mediterranean plants and garden terrace with a private pool.